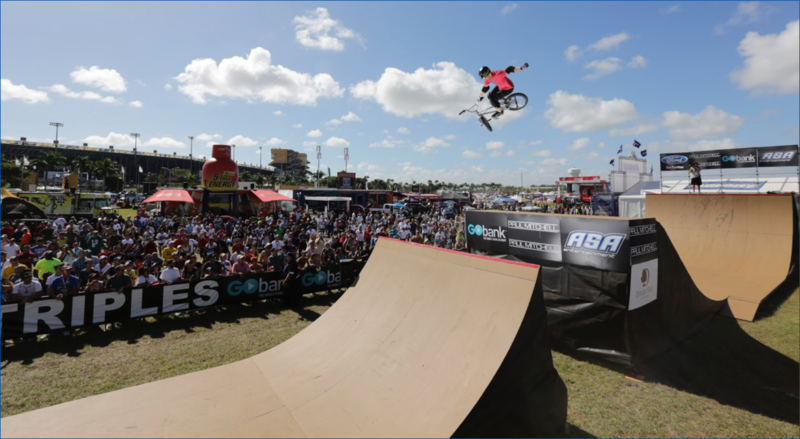 ASA Big Air Triples is the first series of its kind, combining the best of Dirt Jumping, Box Jumping, Half-Pipe and Park Course disciplines into a unique head-to-head competition. The world’s top BMX and skateboard pros showcase their versatility and innovation over a one-of-a-kind 195′ long course that features a 26′ high roll-in, two large box jumps and a 14′ quarter pipe. It is widely considered one of the most progressive action sports series and is spectacular to watch both on-site and on TV. Only elite-level action sports pros participate in Big Air Triples, including stars like Ryan Nyquist, Pat Casey, Daniel Dhers, Logan Martin, James Foster, Kyle Baldock, Morgan Wade, Colton Satterfield, Vince Byron, Scotty Cranmer, Andy Macdonald, Pierre Luc Gagnon (PLG), Mitchie Brusco, Tom Schaar, Jagger Eaton, Bob Burnquist, Sandro Dias and more. The events are hosted at a variety of venues, including city centers, major arenas, beaches, NASCAR races, and festivals. 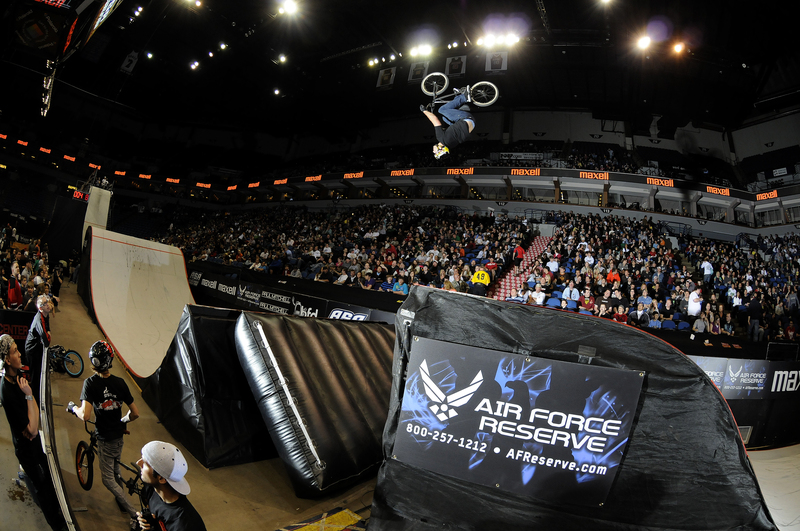 Each of the Big Air Triples events is nationally televised and features a live webcast that is distributed on a variety of BMX, skateboarding, action sports and general market web sites. Due to the spectacular nature of the ramps and the competition, the Triples events can also be utilized for brand launches, PR stunts, and as a “wow-factor” activation platform for existing brand partnerships.